As the testimonial states, the residents of this homeowner’s association were looking at options of replacing or upgrading their older cracked asphalt courts. 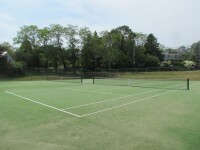 Every type of tennis court is a trade off one way or another and they had to decide as a group whether they wanted the slide of clay, the low maintenance of a hard court, or something in between. We were able to show them a few different options and after playing on the turf they decided that it was a great fit. The only maintenance needed is a grooming at the beginning of the season with the potential of adding sand and a light sweeping after play. "Our neighborhood association was faced with the prospect of refurbishing a 25 year-old asphalt surface that was cracking extensively. 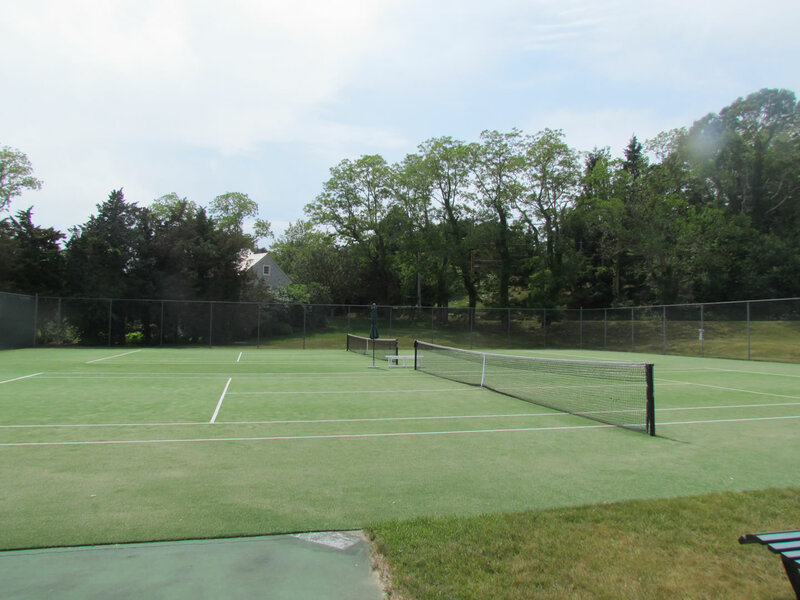 Our court consultants, Cape and Island Tennis & Track suggested we consider synthetic turf as a soft, low maintenance alternative to Har Tru or asphalt. Now, after 2 years, we could not be more delighted. The courts play soft like clay or grass but require very little upkeep. They drain quickly and can be played on shortly after drenching downpours. C&I did a perfect job installing them and have been very helpful with the few questions that have come up. They get 5 stars."